Three-quarters of addiction treatment centers in the US follow the 12-step model, inspired by Christian beliefs – and it may be to the detriment of many patients, says a Harvard University doctor and recovering opioid addict. 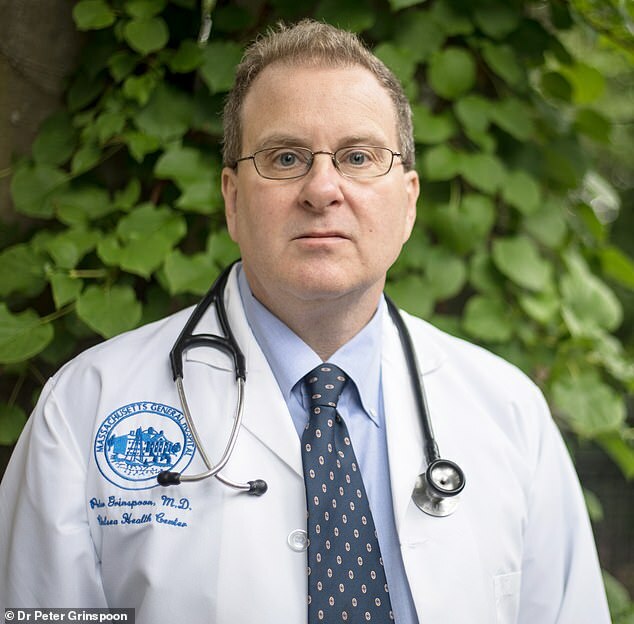 Dr Peter Grinspoon is a primary care physician at Massachusetts General Hospital and is 11 years clean from the opioids he misused beginning in medical school at Harvard. Thirteen years ago, he found himself writing and filling prescriptions in the name of his children’s nanny, was caught, and sent to rehab for treatment required to get his medical license back and avoid jail time. Dr Grinspoon completed the program, and got his medical license back, but he came away from the experience appalled that he and many other doctors were treated not according to science, but according to spirituality. Programs like the one he attended largely refuse to incorporate proven medication-assisted treatment (MAT) into their regimen. Instead, Dr Grinspoon says, he was forced to quit not just opioids but doctor-prescribed psychiatric drugs which endangered his life, but also inspired him to push for rehab reform – especially for doctors. An often-cited statistic says that one in every three Americans knows at least one person struggling with addiction. But far before opioids were considered an epidemic among Americans, addiction has been a quiet but common plague among physicians. By some estimates, as many as 15 percent of doctors are suffering from an addiction. Dr Grinspoon was one of them, and his opioid addiction began before his career even officially had. ‘Doctors are under stress, dealing with burnout and have tremendous access’ to drugs, Dr Grinspoon explains. ‘We get samples, we can write prescriptions, people bring in bottles to check their doses … doctors medicate away stress, anxiety and fatigue. Dr Grinspoon was at the beginning of a promising carer in medicine, but his addiction had him calling in prescriptions for Vicodin for his children’s nanny – who had moved back to New Zealand. ‘It didn’t take the pharmacist long to figure out that I wasn’t a 19-year-old woman,’ he recalls. The pharmacist called the police, Dr Grinspoon yelled at her and stormed out of the store. ‘It culminated in the DEA and state police raiding my office in February 2005,’ he says. Dr Grinspoon was placed on probation, and his medical license was suspended. If he ever wanted to practice medicine again – and to stay out of jail – he would have to complete a rehab program. ‘I’m white and middle class, that’s probably why I didn’t go to prison. If I’d been poor or a minority, I probably would have [gone to prison],’ he acknowledges. Instead, the Physicians Health Service of Massachusetts sentenced him to 90 days in a Virginia rehab facility (which he declined to name). Like 74 percent of all addiction facilities, his program followed the 12-step model, which essentially guides people with addictions through a process of admitting wrong-doing, making amends and carrying forward lessons learned. In its original form, all of these efforts are addressed to and done for God, in the Christian tradition. ‘It leans very heavily on spirituality and is very thin on science,’ Dr Grinspoon says. Research on the 12-step model is fairly new, controversial and doesn’t generally ‘prove’ that it is truly effective, by scientific standards. Research on MAT – especially using buprenorphine – however, shows that it offers a pretty clear advantage over treatment without assistive medication. Dr Grinspoon says that stands to reason because addiction – physicians now widely agree – is a disease. ‘I wouldn’t prescribe you spirituality for your cancer or diabetes, so why anyone would prescribe it for you addiction doesn’t mean any sense to me,’ he says. Dr Grinspoon was made to quit opioids cold turkey, and to do the same with the Klonapine his psychiatrist had prescribed, instead of titrating off it over the course of months, as is the recommended protocol. The rehab physicians prescribed him three drugs – including another controlled substance – to keep him off Klonapine. ‘A lot of people on board with the 12-steps think that if you use MAT, you’re just substituting one drug for another. So, after a treatment program is over, a recovering addict is unmedicated, often in search of their drug, and has lost their tolerance, leaving them extremely vulnerable to overdose. The patients at his program were ‘a lot of health care professionals, but also teachers and coal miners,’ Dr Grinspoon says. Nonetheless, Dr Grinspoon made it through treatment and ultimately got his license back after three years. But he still wonders what his recovery would have been like in a different treatment program. Now, more programs across the nation are adopting the use of MAT at the urging of physicians like Grinspoon as well as addiction specialists. After he’d resumed practice, Dr Grinspoon spent two years as an associate director for the Physician Health Service – the same group that sent him to the 12-step program. ‘I was sitting at the same table, but on the other side of it,’ he says. There, he pushed the committee to be more receptive to treatment plan requests from other physicians struggling with additions. 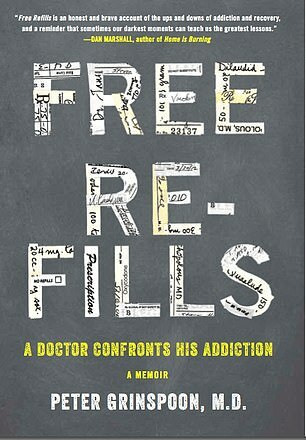 And he’s penned a memoir about his experience, called Free Refills: A Doctor Confronts His Addiction, in which he recounts the harrowing and sometimes hilarious road he took for police raid, through rehab and back to practice. Now, he continues to push for a more science-based approach to treating addiction, namely, by using medication – especially for scientists themselves. ‘These programs are participating in the same kind of stigmatizing that most physicians know we shouldn’t be putting on people,’ Dr Grinspoon says.